Motuo means the hidden lotus flower in Tibetan. It’s the last county in China opening to the outside world. 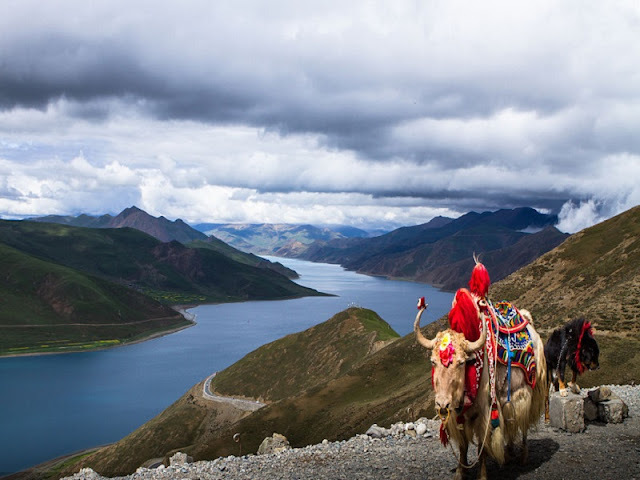 Locate at the lowest point on the Tibetan Plateau, this mysterious land is famous for its beauty and peace. Motuo is known as a natural museum of various plants. In July the mountains there are covered by an endless green and large fields of colorful flowers. You may move by the beautiful views there. July is the very month when the busy season of Tibet travel begins. A great number of tourists will flood into this land. So we suggest you book with Great Tibet Tour in advance so as not to affect your plan for travel. As one of the greatest celebrations in the north of Tibet, The Nagqu Horse Racing Festival usually takes place in the middle of August. The local Tibetans would dressed up in their traditional clothes, sing and dance on the grassland to express their joy. The festival last 5 to 15 days. 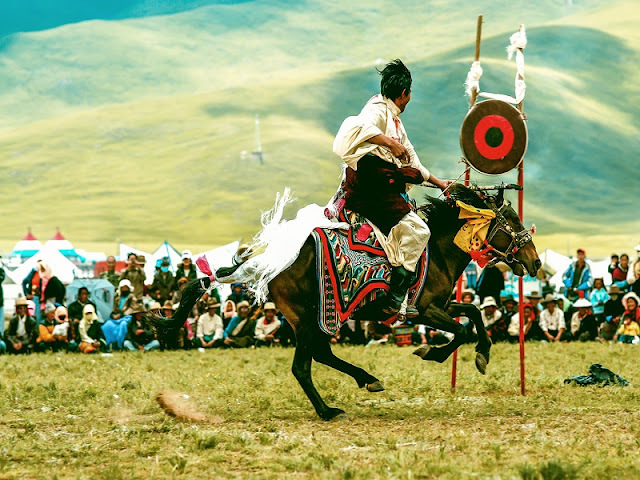 During this period you can experience the unique Tibetan customs such as horse racing, Tibetan operas, and Tibetan archery. Also, you can buy some local specialties there. It would be an unforgettable memory for you! The sacred Mount Kailash is a dream place to travelers who want on a Tibet tour. 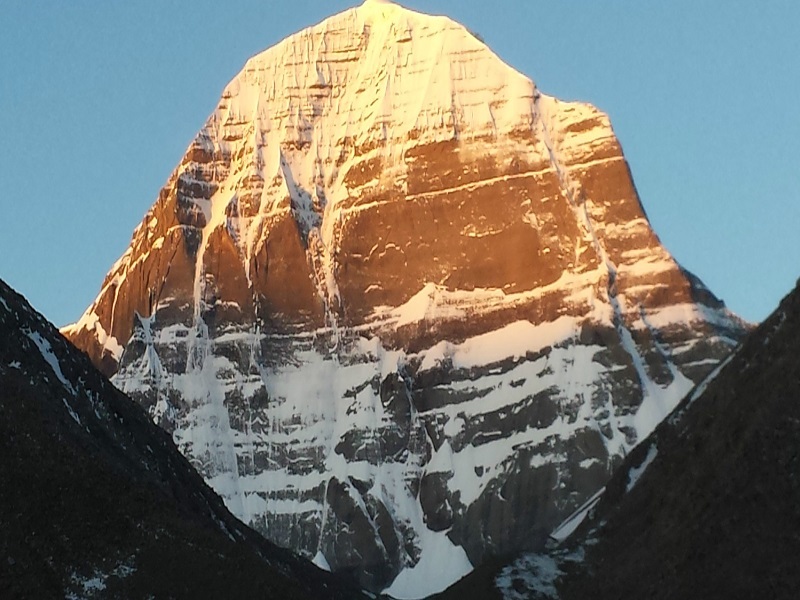 As one of the holiest mountain in the world, Mount Kailash is full of beauty and challenges. If you are an adventurer who also enjoys trekking, this mountain would be a good choice for you. September is the best month to Trek to Mount Kailash because this is a period when the rainy season has passed and the cold winter is not coming. Due to the high altitude there, you still need to be prepared with warm clothes. 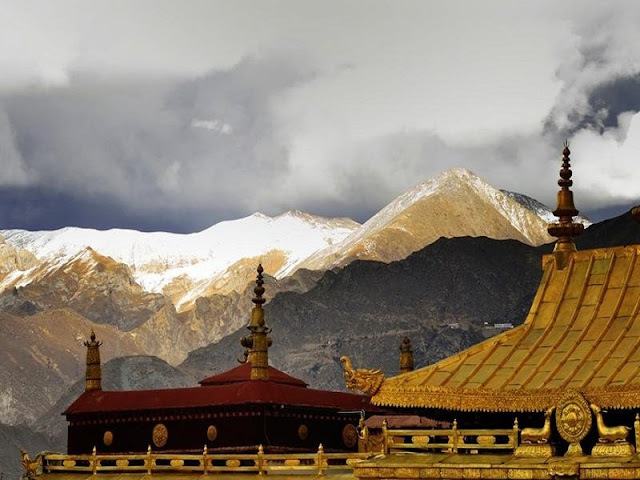 October: Take a visit to beautiful sites of Tibet in good weather. Although the temperature begins to fall, October is still a month to enjoy the sights of Tibet. It may be a little cold there, but still, you could feel the warmth when walking in the sun. 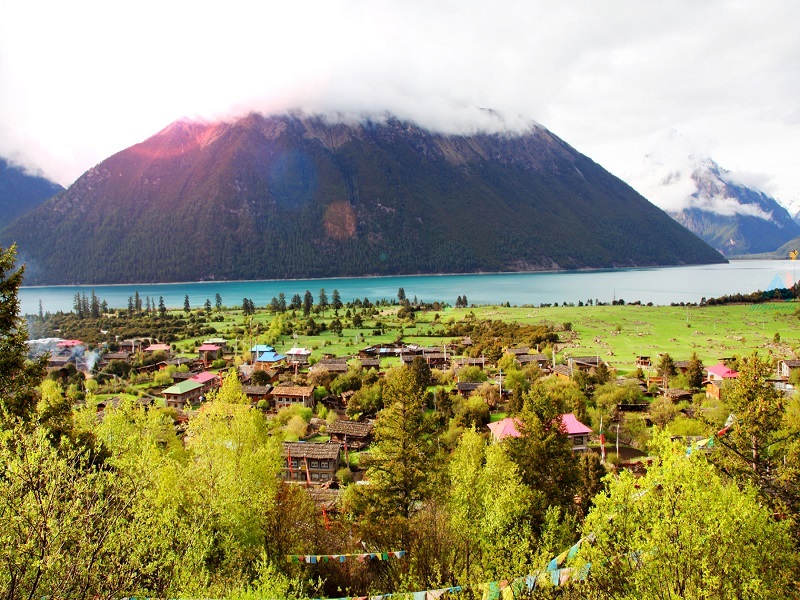 You can head south to some popular sites like Mount Everest and Yamdrok Lake. 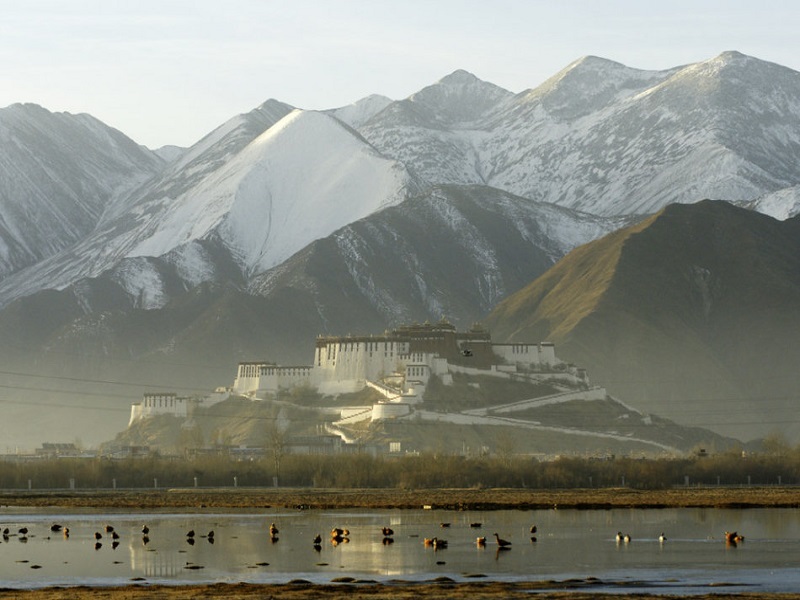 Remember that this is the last month of fine weather to travel to Tibet. But many Chinese travelers will come there on National Day which is a seven-day holiday from Oct.1. We suggest that you avoid this week because it would be crowded and scarce in hotel rooms. The temperatures of November will drop greatly. It’s not a good idea to go trekking in Tibet during this time. Still, there are a great many of things you could do in Tibet. Due to the off season, the price of the tour will be lower than usual. You could enjoy the breathtaking views of Tibet such as the Potala Palace and the Jokhang Temple with less money and more fun. It may sound not so attractive to walk along the Lhasa River to most of the people, but it’s worth watching the rare birds there in sunny winters. Many tourists will come in December and enjoy the unique view there. Many precious and beautiful birds like Tadorna ferruginea and yellow ducks will be found along the Lhasa River. This could be a rare experience for you. On the whole, whenever you come to Tibet, there is always something exciting for you. Which month do you like best in Tibet tour? Let everybody know your opinion!